We would love to hear your story and your ideas about social change. 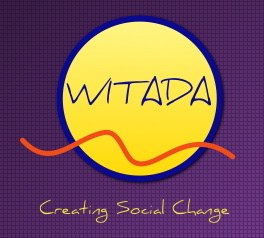 At WITADA we believe that real and sustainable change will only occur when we all come together to share our ideas so that together we can work out the best ways for us all to help create and more peaceful and equitable world. We would love to share your story here on our web page in the hope that our stories will inspire others to develop their vision for the world and to act now to create change. If you would like to join in the community of people sharing their stories and talking about how to make social change and reality all you have to do is write a brief (1000 words or less) story about what you think and dream about and we will publish it on the web page. Or submit some poetry or art work that speaks to your vision for change. Or write a shared story from your organisation or group, Just contact us here and we would love to chat more with you about your ideas. Please read our Terms and Conditions and our Privacy Statement to find out all the technicalities about what happens to your information. And of course we would love to hear any ideas that you have about how we can make this a better and more informative site for you. Send us an email if you have some comments or suggestions.